Juwairiya Bakharia | A fellow hijabi blogging about everything, but mostly beauty! Charcoal masks are all over the internet and on social media sites! These charcoal masks promises you different and flawless skin and boy! it does live up to those expectations. Long before charcoal masks become a trend I was already experimenting with it and I loved the way it looked and made my skin feel so I made it part of my beauty regiment. Throughout the day toxins from around the world we live in clog our pores. Once your pores are clogged it has a negative impact on your complexion. When activated charcoal is used in a face mask it helps to pull the dirt out of your pores and makes them less visible; this leaves your face super fresh and a radiant complexion. It also helps with oily skin, activated charcoal can pull the unwanted excess oils from your skin, leaving it super smooth. Yours truly is here to share one of my favorites which always leaves my skin extremely glowy and fresh. This mask is extremely easy and you will see a huge difference in your skin. I used the powdered activated charcoal, you can obtain activated charcoal at your local pharmacy, if you do have the capsules you can open it up and use the powder within the capsule, however the capsules are more expensive then the powder. Mix the activated charcoal with a little bit of honey, add more if necessary until you obtain a paste. Once you’ve made a paste you can apply it directly to your face for about 30- 45 minutes and then wash off. Apply a moisturizer thereafter. Activated charcoal draws bacteria, poisons, chemicals, dirt and other micro- particles to the surface of the skin, helping you to achieve a flawless complexion and fight acne at the same time. 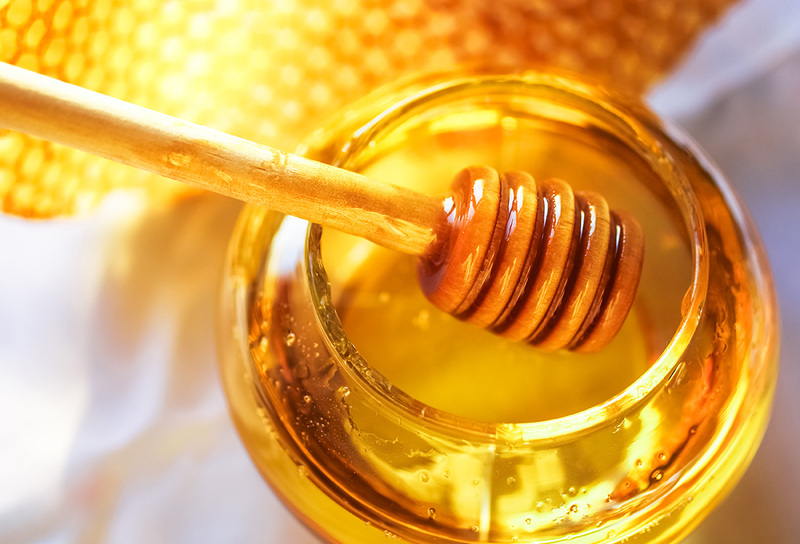 Honey : Honey is a naturally antibacterial, so it’s great for acne treatment and prevention, its full of antioxidants, it is great for slowing down aging. It is extremely moisturizing and soothing, so it helps create a glow and a flawless complexion. Honey is clarifying because it opens up pores making them easy to unclog. Your pores will thank you later! P.S. if you try out this mask, do let me know if it had the same effect on your skin, and you welcome. This entry was posted in beauty, skincare, trends, Uncategorized and tagged beauty, charcoal, charcoal mask, diy, skin, skincare on May 1, 2017 by juwairiyabakharia. How I wash my Makeup Brushes without breaking the bank! I absolutely love using my makeup brushes to create gorgeous looks, but cleaning them can be such a tedious task! I absolutely hate cleaning my brushes. Sometimes I feel like buying more brushes so I don’t have to clean my already used ones, but then reality hits me and I realize no matter how much more brushes I own I will still have to wash them. Not washing your makeup brushes means that your favorite brushes remains dirty, makeup also tends to remain within your brushes and especially if product has been left for while will stain your brushes. Also not forgetting that reusing the same brush is extremely unhealthy as the bacteria in the brush increases and this could cause breakouts. This is why its so important to wash your brushes regularly! There are many ways to wash your brush but running them under a tap and using your hands to cleanse the brush does not clean the brush and often residue is still left in the brush, so technically your brush is not actually clean. A cleansing pad should be used alongside a product to really get into that residue. There are lots of different products available on the market to use to cleanse your brush. I personally do not want to break the bank or my wallet just to get a little something that will cleanse my brushes, and that’s when I discovered Baby Shampoo. Yes, Baby Shampoo! I mean my brushes are just as delicate as a baby’s hair, so why not use baby shampoo? Baby shampoo is extremely inexpensive, is extremely gentle on those bristles, cleanses the brushes thoroughly while still maintaining the softness of the hair on the brush. And also my brushes have such a gentle fragrance once I’ve washed it, which I absolutely love! I love the Johnson’s Baby Shampoo, which can be purchased from literally anywhere. I usually wet my brush and then I will apply the shampoo on it, thereafter I will cleanse it using a cleansing pad. I usually gently scrub it on the cleansing pad until all the product is gone, afterwards I rinse the brush with clean water and then squeeze the water out. I then leave it on a towel for a few hours to dry. **The cleansing pad can be purchased from Dis-Chem for R49,95. Have you subscribed to my blog yet? If not, then what are you waiting for? This entry was posted in beauty, makeup, Uncategorized and tagged brushes, how to wash your makeup brushes, makeup, makeup brushes on April 6, 2019 by juwairiyabakharia. This Product Literally Clears Acne Overnight! Yes, you read it right! This little miracle in a bottle will clear away your acne while you sleep. I discovered this little beauty called The Body Shop Tea Tree Anti- Imperfection Night Mask just as my acne was clearing and I wish I discovered it earlier; it literally would have saved my pockets so much money plus my face the misery that it had been endearing. I still had some acne on my face even though it was clearing up and I obviously wanted it to clear out much faster. I had heard some good reviews about this product, and I was curious to try it and see if it actually works it. I love The Body Shop and I absolutely love the fact that their products are cruelty free. I haven’t really tried a night mask before, so I was extremely skeptical. The entire tea tree range was created for acne prone skin. Some of the ingredients of the mask include tea tree oil, obviously! and salicylic acid which works extremely well for blemished skin. Tea tree oil fights against the acne and the bacteria which then becomes on your face and it also helps reduces the level of acne break outs. Salicylic acid penetrates the skin thereby helping to clear clogged pores, keep oil at an arms length and also prevent any breakouts. Normally you will have to obtain these products separately, but The Body Shop just did the work for us in order to get amazing acne free skin! The product comes in a pretty, little green glass bottle with a black lid. The product doesn’t really have a smell which is great, cos you really don’t want the smell of tea tree to be lingering around your pillow or bed sheets. The formula is kind of like gel and jelly like gelly, well I just made a new word! So the formula is gelly and feels a bit weird on your hand and skin but it kind of settles in. I usually apply it with a brush because I feel like using my hand, especially with all the germs around, can be unhygienic. After applying the formula, it kinds of settles into the skin but doesn’t dry out completely. It also doesn’t feel tight on the skin and it actually feels pretty normal when you sleep with it.This formula works while you sleep; so you literally getting your beauty sleep and good skin while you sleep. I had quite a few pimples before I applied it, and when I woke up most of my pimples disappeared. No like it really disappear! If you have severe acne, then I suggest you use it for a few nights in order to obtain maximum results. If you’ve been enjoying my posts, don’t forget to subscribe. Whoops! Sorry babe. There was an error and we couldn't process your subscription. Please reload the page and try again. This entry was posted in skincare and tagged acne, get rid of acne, get rid of zits, skin, skincare, the body shop on March 28, 2019 by juwairiyabakharia. I first came across Makeup Revolution a couple of years ago. It was already a big brand in many countries, however it was still extremely difficult to get your hands on a Makeup Revolution palette. I was aching to try it since I’ve heard such amazing things about it. Eventually I got my hands on a blush and highlight palette; and that was love at first sight! I was over the moon when I heard that Makeup Revolution was coming to SA although I knew there wouldn’t be a huge variety, I was extremely excited.I knew that my Clicks wouldn’t be stocking it so being the curious being that I am, when I went to Jo’burg I made sure that I went to Clicks to get my hands on some Makeup Revolution and one of the things that I picked up was their Re-loaded eye shadow palette in Iconic Vitality. The eye shadow palette was R129,95. Like, how cheap is that? I was stoked! I always love a good deal. The palette is a rectangular shape and has 15 different colors of eyes shadow. 15 Colors for R129,95, I am amazed! Makeup is extremely expensive, so getting an eye shadow palette that is of a reputable brand at that price is really something. Getting back to the palette; the design is sleek, quite simple and compatible if you want to travel with it. I actually like the simplicity, as some brands are too over the top and the packaging comes off as tacky. Most of the shades on the palette are matte and there are a few shimmers. Each shadow is extremely pigmented and the shimmers are extremely pretty. The eye shadow is extremely easy to wear, the colors are super pigmented and goes extremely well with my olive skin tone, there is not a lot of fall out when applying and they are easy to blend. When removing the eye shadow, all the color comes off your lid and literally nothing gets left behind which I absolutely love. My verdict: I will definitely be getting my hands on more palettes from Makeup Revolution as it doesn’t disappoint. The colors, the pigments, the versatility of the palette plus the price is a total catch and you should definitely try it. Have you tried any Makeup Revolution eye shadow palettes? What are your thoughts about it? By clicking submit, you agree to receive marketing, updates and other emails from the site owner. You may unsubscribe at anytime, by clicking the unsubscribe link in those emails. This entry was posted in beauty, makeup and tagged beauty, eyeshadow palette, makeup, makeup review, makeup revolution on March 27, 2019 by juwairiyabakharia. Brows are extremely important for completing any look; your brows define your face and adds more definition to your face. Even if I’m not wearing any makeup, I make sure I leave the house with my brows done because its just so important. Its like a complete look on its own! Choosing the right brow product can be extremely daunting, especially when you are new to the brow game. I have selected three of my all time favorite brow products which have always been there for me to ensure that I always have a good brow day. This has got to be my all time favorite brow kit. My first brow kit that I’ve ever purchased and I still love it just as much as I did when I first tried it. The kit is extremely small which makes it compatible; it looks like there is not a lot of product but this little kit will last you forever! Like literally forever! It also comes with a little spoolie and double- sided brow brush so you don’t need to buy an additional brush. The kit comes with a brow powder plus a cream brow product. You can apply the powder first followed by the cream or vice versa; I prefer the powder followed by the cream for a more defining brow. Once applied, it lasts for hours not to mention that it won’t budge. If I could use only one brow product for the rest of my life, this would be it! Need I say anymore about this product? Benefit Cosmetics always kills it with their packaging. This product is just so gorgeous! It’s so aesthetically pleasing that I didn’t want to use it. Eventually I did, and boy! Wasn’t I pleased with the outcome! A brow pencil general takes a little bit of practice but with this brow pencil, it’s just so easy to use. The product comes with a spoolie on one end and the brow pencil on the other. The pencil is extremely thin, so through a few strokes one can easily achieve a natural brow. With this brow pencil, its extremely easy to imitate the shape of the brow and also level up your brow game. The product stays on your brows for hours and it doesn’t easily smudge. It is a bit pricier then regular drugstore products, but its definitely worth it. This is one product that I didn’t initially like, but its definitely a product that grows on you. The more I used it, the more I enjoyed it. It is a little bit more difficult to apply as pomade tends to get hard, but with the right eyebrow brush it becomes easy to apply. The pigment is extremely rich and pomade blends really well with your natural hair color. It lasts forever on the brows, the formula literally doesn’t budge and its waterproof! This brow product is guaranteed to give you instagrammable eyebrows! If you’ve enjoyed this post, sign up to my email newsletter. This entry was posted in beauty, makeup, Uncategorized and tagged beauty blogger, brows, brows on fleek, eyebrow, makeup on March 19, 2019 by juwairiyabakharia. The Drugstore Foundation that EVERYONE is raving about! If you are a makeup junkie like me that you already know exactly which foundation I’m talking about, if not then let me enlighten you. So I’ve seen many raving over the NYX Total Control Drop foundation be it the Gram or the internet, bloggers have been obsessed with this foundation. I wanted to see what the Whoo- Haa was, and on one of my trips to Jo’burg, I made sure I went to get it! Now that you are fully aware of what I’m talking about, let’s get into all the finer details. I purchased it from Clicks for R220,00 which I thought was a bit pricey for a drugstore foundation; despite the price I was still excited to try it. The foundation comes in those little drop bottles, and its glass and kind of matte which I love. The bottle is really pretty. The bottle however is only 13 ml which is exceptionally small, especially for the price paid. IF you enjoy this foundation, then you will have to replace it very often and it will get pricey especially if you using it everyday. Because of the drop, using this foundation can be extremely messy and a lot of the product tends to waste and not to mention its extremely unhygienic; I really don’t think a drop bottle was a good idea, i actually prefer a pump bottle for my foundation. Apart from the drop, the formula is really thin so it really doesn’t work well with dry or a combination skin tone. The coverage is light to medium, however I found it more on the light side and I had to build on it quite a bit to get the coverage that I wanted. The formula blends well and it has a very light velvet and matte finish. Once you have build up on the product it looks nice. The foundation however is not enough to give you a flawless finish and blemish free look. My verdict: Definitely worth a try! I love the finish of the foundation once it has been set, however due to it not working very well with my skin, I will not be purchasing it again. This entry was posted in beauty, makeup, Uncategorized and tagged beauty, foundation, makeup, makeup review, nyx, NYX Foundation, NYX Total Drop Foundation on March 8, 2019 by juwairiyabakharia.